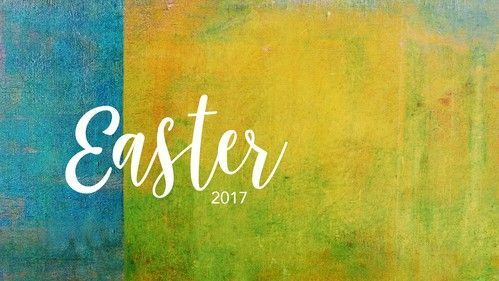 Easter is the greatest event in Christian history, and the greatest event in human history. We can say that because Easter is the story of a divine rescue. It is about God’s pursuit of those He loves. “For God so loved the world that He gave His one and only Son, that whoever believes in him shall not perish but have eternal life” (John 3:16). But God did not just send His Son, He sacrificed His Son. Jesus died for us! He was nailed to a cross for us. He paid the penalty for our sin. And He did it, so that we might be forgiven of everything we’ve ever done wrong, so that we might have peace within and peace with God, and so that we might live forever with Him in heaven, in a place He called “Paradise.” And the proof that this is true is the resurrection. The resurrection proves that Jesus is the Son of God and that everything He said is true. As Christians, we celebrate Jesus. We express our gratitude, affirm our faith, and renew our commitment to Jesus. But how far are we willing to go with that commitment? Are we willing to die for our faith, as so many have in Christianity's history? But that’s not the question we face. Our circumstances are different. We worship in freedom and comfort. We don’t live under that threat. The relevant question for us is not whether we are willing to die for Jesus, but whether we are willing to live for Jesus, willing to give Him first place in our lives. Trusting Him and loving Him and obeying Him in everything He asks. To live for Jesus is to love Him above everything else in our lives.